We put Draw Something on the iPad. We usually use it 99% for web and email and I think this might be the first game. It’s the first game I’ve shown any interest in. 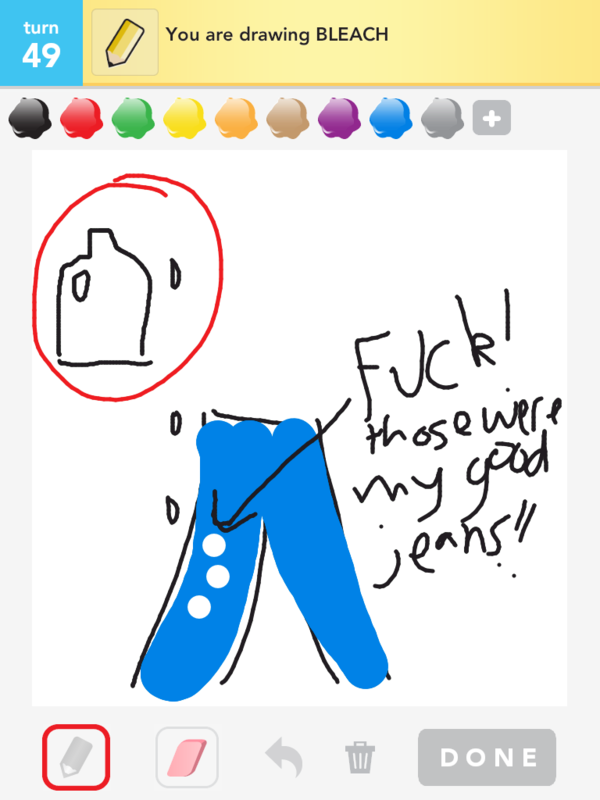 I’m trying to make my drawings funnier, but still have the words guessable. How am I doing? I feel like including text is cheating but it’s hard to be funny without text or artistic ability.